The Islamic Republic of Iran does not recognize the independence of the Republic of Kosovo. While the Balkan state of some 1.8 million people is 80 percent Muslim, few among them are Shia, save for some spiritual Sufis whose variety of Shiism is extremely heterodox when compared with Tehran's theocratic ideology. Yet for some time Iran has maintained a web of "nongovernmental organizations" inside Kosovo. At the end of July, as reported by Radio Free Europe/Radio Liberty, an Iranian cleric, Hasan Azari Bejandi, was charged by Kosovo authorities with terror financing and money laundering. Last year, the Kosovo government raided five Iran-controlled institutions. All have been described as under Bejandi's coordination. They include the Koran Foundation of Kosovo (KFK), established in the southern Kosovo city of Prizren in 2002; the Ahl-e Beyt Institute set up in Prizren in 2007; the Ibn Sina Institute founded in the Kosovo capital, Pristina, in 2012; a woman's organization, NISA, and the amorphous "Bregu i Diellit" (Sunny Hills) group. "Ahl-e Beyt" or "People of Muhammad's House" is a common self-identifier for Shia Muslims. "Sunny Hills" is a neighborhood in Pristina said to shelter a group of pro-Iranian acolytes. Kosovar officials and citizens are eager to draw a sharp line against radical incitement. The Iranian interlopers have not been prominent in Kosovo life. But inquiries into the activities of Hasan Bejandi, according to RFE/RL, led to Bejandi being charged with "laundering hundreds of thousands of dollars in undeclared cash between 2005 and 2015." Bejandi and his pro-Iranian network were first exposed by the Kosovo news portal Gazeta Express, whose reporter Visar Duriqi is an indefatigable analyst of radical Islam in the Balkans. The Koran Foundation of Kosovo is affiliated with the Al-Mustafa International University (MIU), headquartered in the Iranian theological center of Qom. In 2011, the Koran Foundation of Kosovo was celebrated at a ceremony in the eastern Kosovo city of Gjilan, with the support of the official local Islamic community, and three cultural groups, "Drita" ("Light") from Gjilan, the Nositi Literary Society, and the Kurora Publishers' Council. 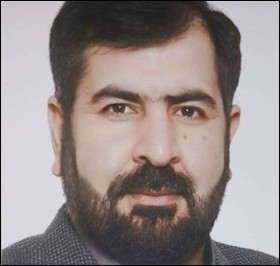 At that time the representative of the MIU in Kosovo was reported by Iranian sources to be Mohammad Bagher Salehi. Kazem Kazemi, rector of the Faculty of Islamic Studies of Pristina, praised the influence of Persian culture in the Albanian lands. Other activities by the KFK were presented as purely cultural, linked with the Persian traditions of Sufism. But it has been known since the examination of the pro-Iranian efforts in Kosovo began that an assistant to Bejandi is a zealous and voluble female adherent of the Shia sect, Ikballe Huduti-Berisha. Huduti-Berisha posted a video on social media showing her firing a rifle with the comment, "Good, I haven't forgotten." 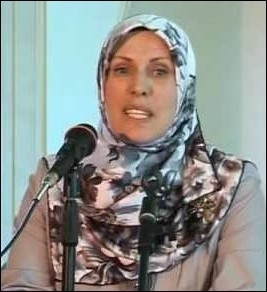 Her daughter Zehra Huduti-Berisha became infamous by going to Iran and declaring her desire to fight against "Israel and America." Neither Israel nor America are viewed negatively by most Kosovars and Albanians, and it is doubtful the Iranian agents can recruit many locals on such a program. Nonetheless, Kosovar officials and citizens are eager to draw a sharp line against radical incitement. In other recent incidents showing how Kosovars feel about extremist agitation, police in the northern region of Peja on July 27 arrested Nebih Kadriu, owner of a radio station broadcasting sermons by Muslim clerics calling for Kosovars to fight for the so-called "Islamic State" in Syria and Iraq. Kadriu's station featured jihadist appeals by Zekerija Qazimi, a fanatical preacher from the southern Kosovo town of Ferizaj, sentenced in May 2016 as part of a group of seven who received a total of 42 years' imprisonment. And in another series of events illustrating the deeply held anti-extremism of Kosovar Muslims, the village of Lumbardh in the western Kosovo region of Decan had been divided since May by an attempt to replace a planned monument to reconciliation of blood feuds with a mosque. On August 1, according to the Kosovo daily Zeri (Voice), pro- and anti-mosque factions were armed but pacified by Kosovo police, although the villagers succeeded in removing the foundations of the intended structure using a bulldozer. Vesel Lekaj, a resident of the village working as a teacher in Croatia, gathered about a hundred signatures opposing the mosque. He said in May, "nobody here is against religion, a mosque, or imams who preach traditional Islam." But with the removal of the mosque foundation, he declared, "This was a football field. Then there was the plan for a monument to reconciliation of blood feuds. The markers for that are still visible. Then came foreign money and the plan to establish the mosque." Lekaj denounced the action as a "brutal interference." The municipal council of Lumbardh approved construction of a mosque by the official Islamic Community in the area but did not specify a site for it. Vesel Lekaj criticized Gulf-based Islamic organizations that came to Kosovo with financing and personnel, aiming to dominate the villages. He said further that a mosque should not be built at a place of conflict. Zeri pointed out that along with the blocked Lumbardh mosque, building of three other mosques in Kosovo—the Kralan mosque in the major western Kosovo city of Gjakova, the Vitomirice mosque in Peja, and the Staradran mosque in Istog—was opposed by local residents, and that their funding is under investigation by the Balkan country's Customs and Economic Crime Police, for possible money laundering. Stephen Schwartz, a fellow at the Middle East Forum, is executive director of the Center for Islamic Pluralism in Washington, DC.